The Best Blogging Tips Blogs from thousands of Blogging Tips blogs in our index using search and social metrics. We’ve carefully selected these websites because they are actively working to educate, inspire, and empower their readers with frequent updates and high-quality information. 2.7 BloggerTipsTricks | Ultimate Blogging Tips For Beginners! Blogging Tips newsletter is a comprehensive summary of the day's most important blog posts and news articles from the best Blogging Tips websites on the web, and delivered to your email inbox each morning. To subscribe, simply provide us with your email address. Melbourne, Australia About Blog Darren Rowse is a blogger, speaker, consultant. Since 2004, ProBlogger has been the home for bloggers wanting to create and grow their blogs, and then go professional to make money blogging. We’ve got close to 8,000 posts with blogging advice, tips, and in-depth tutorials alongside the latest blogging trends. Facebook fans 94,308. Twitter followers 247,157. About Blog Blogging Tips is one of the web's largest and oldest resources for today's top bloggers. Daily topics include SEO, content creation, outreach and only the most effective blogging tips. Facebook fans 18,238. Twitter followers 38,812. São Paulo, Brazil About Blog Daniel posts about all manner of things from how to make money to how not to lose it, from the best plugins for your site, to what to write in your own blog. Facebook fans n/a. Twitter followers 13,828. About Blog Everything you need to know to start blogging -- we'll show you how step-by-step. Plus tips, tools, and reviews to help you gain visitors, monetize, and create great content that your audience will love. Facebook fans 6,267. Twitter followers 7,285. India About Blog Hi there! My name is Anil Agarwal. BloggersPassion is my virtual home, this is where I make money and serve audience who wants to make money blogging. The main motive behind BloggersPassion is just one to help you make REAL money from your blogs. Blogging has not only supported me to make passive income but it also providing a golden opportunity to serve others to make money blogging. Facebook fans 8,790. Twitter followers 16,813. 7. BloggerTipsTricks | Ultimate Blogging Tips For Beginners! India About Blog This is the blog section of BloggerTipsTricks where you can read all the latest articles, tips and tricks to grow your blog. Facebook fans 5,426. Twitter followers 2,168. About Blog Sora Blogging Tips Provides You Blogging Tips, Blogspot Tips, Learn SEO, Technology News, Social Media And Make Money Online. Facebook fans 38,016. Twitter followers n/a. USA About Blog eAskme is the fastest growing blog with the love of readers worldwide. eAskme advocates the way to live a boss free life with blogging, affiliate marketing, WordPress, SEO, Make money Blogging, marketing. Facebook fans 13,238. Twitter followers 3,875. About Blog All Blogging Tips is mainly focused on Blogging Tips, SEO, Social Media, WordPress Tips, Blogger Tips, WordPress and Blogspot Widgets, It also include tips to make money online. Facebook fans 9,815. Twitter followers n/a. Bangladesh About Blog RoadToBlogging is a blog for Bloggers & Webmasters where topics like Blogging, Social Media, SEO, WordPress, Web Hosting, Affiliate Marketing are covered. Facebook fans 1,635. Twitter followers 1,196. About Blog Take your blog to the next level with my exclusive blog tips, marketing strategies, fabulous resources and life hacks. Facebook fans 294. Twitter followers 66. Facebook fans n/a. Twitter followers 29. Appledore, England About Blog The latest blogging tips articles to help you grow and manage your blog. You'll find posts on blog writing, blog management, blog monetization and more. Facebook fans 1,678. Twitter followers 13,865. India, TN About Blog BlogTipsNTricks is a blog dedicated to bloggers which helps to take their blog to next level. This blog mainly focus on blogger tips, widgets and tutorials. All the Tutorials and widgets published here are professionally crafted and easy to use. Facebook fans 2,042. Twitter followers 3,786. About Blog I'm Lasantha Bandara. we provides hundreds of easy to follow blogging tutorials and premium quality free blogger templates. Facebook fans 2,156. Twitter followers n/a. United States About Blog Next Level Blogging shares tips, tools, and services to help new bloggers boost traffic, gain followers & subscribers, and monetize their blogs. Facebook fans 1,043. Twitter followers 3,192. About Blog 101Helper is a blog about blogger(blogspot) tips,tricks,seo tips,blogging tutorials,menus,blogger gadgets and widgets,mobile blogging,video tutorials. About Blog Learn how to start a blog the right way, step by step, everything included. Seriously, the only guide you need to start a blog. Not kidding. Facebook fans 53. Twitter followers 343. Philadelphia, PA About Blog Helping you build a better blog and make more MEANINGFUL content! Facebook fans 5,461. Twitter followers 16,753. Shimoga About Blog Hi, I’m Akshay Hallur. The founder of this blog GoBloggingTips. I’m a professional full-time blogger, an internet marketer, and a trainer. I’m here to help bloggers like YOU to create an outstanding blog and earn money from it. Facebook fans n/a. Twitter followers 4,834. Raleigh, NC About Blog Blog Clarity takes the haze out of blogging with can-do tips for any blogger. From blog posts to e-courses, you'll learn to shine your brightest. Without any blogging voodoo magic. Facebook fans 4,117. Twitter followers 16,914. About Blog BloggingTips.Guru is the blog for the bloggers, covering general blog-related topics including aspects of SEO that are useful to bloggers. Facebook fans 2,090. Twitter followers 183. About Blog We're EmPress Themes! We make beautiful, easily customizable WordPress themes and plugins for style and lifestyle bloggers. Facebook fans 59. Twitter followers 51. About Blog These blogging tips are designed to provide assistance to bloggers wishing to design and run their blogs as well as make money blogging. Facebook fans 1,535. Twitter followers 2,848. Facebook fans 525,724. Twitter followers 519,457. About Blog Tips and suggestions to help people build a better business blog and make money online for free. Facebook fans 2,284. Twitter followers 945. TX About Blog I share tips, tools and tutorials for blogging, making money online, productivity and social media. Facebook fans 12,430. Twitter followers 10,832. India About Blog Blog Tips Tricks covers All Blogging, Affiliate Marketing, and SEO Tips Tricks to Became a ProBlogger and Helps to Create a Money Making Blog. The Complete Guides related to WordPress, Online Business, Web Tools, and Web Hostings with results. Learn the Art of Online Marketing in 2018. Facebook fans 54. Twitter followers 46. Facebook fans 879. Twitter followers 3,029. Los Angeles, CA About Blog Blogging Tips and Website Info to improve your site, and get you more traffic and business leads. Facebook fans 3,296. Twitter followers 7,229. Sunshine Coast, Queensland About Blog Blogging Strategy, Tips and Updates. All about Blogging! Facebook fans 10,722. Twitter followers 50,012. About Blog Blogging tips, tricks, how-tos, news, tools and resources, presented in easy to understand tutorials. Facebook fans 4,791. Twitter followers 5,209. 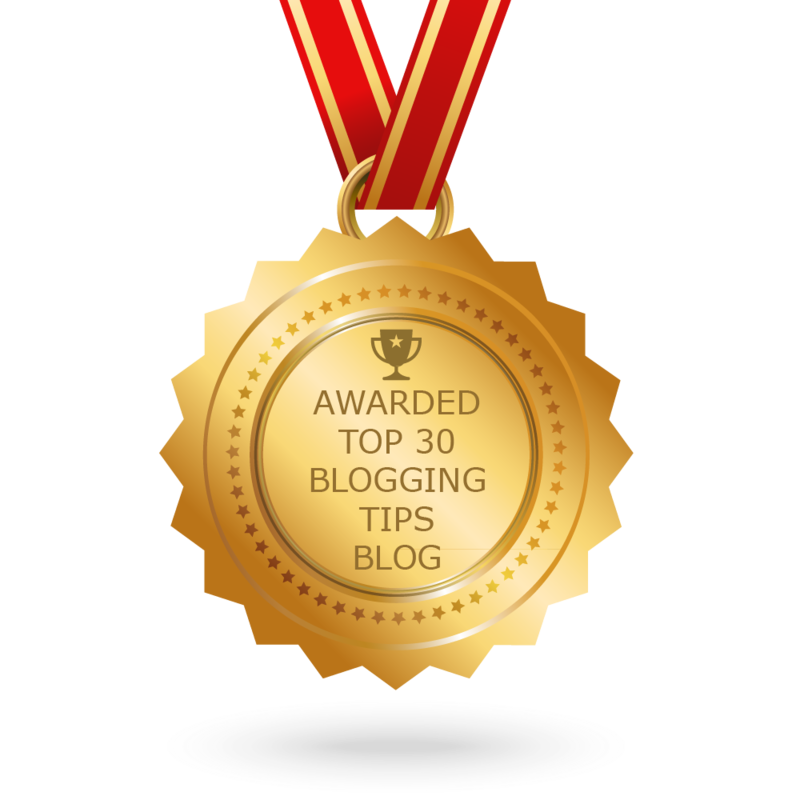 CONGRATULATIONS to every blogger that has made this Top Blogging Tips Blogs list! This is the most comprehensive list of best Blogging Tips blogs on the internet and I’m honoured to have you as part of this! I personally give you a high-five and want to thank you for your contribution to this world.